Why Choose Home Pro Remodeling? We are a full time contractor. 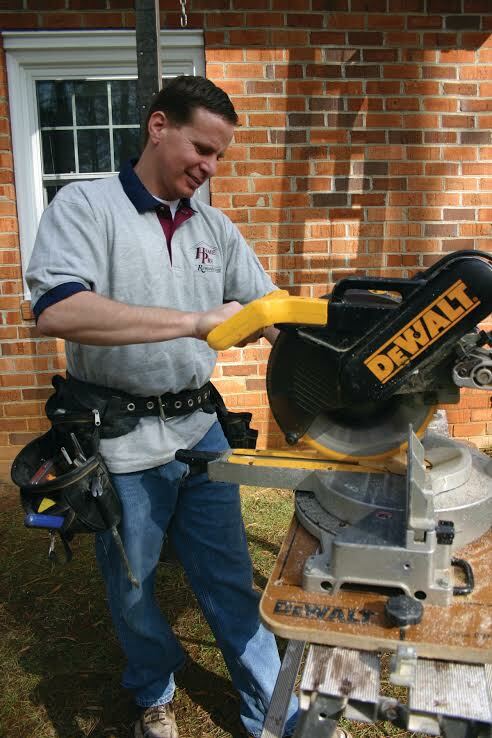 A Home Pro crew (not a subcontractor) will be assigned to your job. Every member of our team is honest, experienced, and friendly -- folks you will enjoy having in your home. We'll work on your project every day, Monday through Friday, until we complete the job. We are licensed and fully insured. We carry a substantial liability policy in the unlikely event we damage anything in your home. In addition, we have worker's compensation insurance. That means if a Home Pro team member falls off your roof, you won't get sued! We have thousands of satisfied Home Pro Customers We're confident that just about any of them. will be happy to tell you how satisfied they are with our work. We can even take you to some of their homes! We are members of the Better Business Bureau in excellent standing. Please check with them. We've never had a complaint! We always go a step beyond what is necessary or expected. We don't cut corners. If it takes 2 nails, we use 3. A happy customer tells a friend -- an unhappy customer tells everyone they know. We like happy customers! Please feel free to browse our many testimonials to see just what our customers are saying about our work. Our dedicated team of friendly, professional craftsmen provide our clients with the highest quality home improvements and repairs by always going one step beyond what is necessary or expected, with the least amount of disruption to the homeowner's life during the whole construction process. Since 1989, we here at Home Pro Remodeling have been helping folks just like you add value and livability to their homes. When we started this business, our goal was simply to earn an honest living by providing customers with the highest quality home improvements, remodeling, and repairs that truly added value -- and style -- to their homes. Through the years we have remained true to that goal, making it our guiding business philosophy and our mission. Every one of our experienced craftsmen demonstrate that same uncompromising commitment to excellence. These days, even with two crews working at once, we can still guarantee the same attention to detail and superior quality on every job.